Since 1976, Andrew Rudin has studied changes in energy use in more than 3,000 buildings belonging to congregations in Philadelphia, New York, Phoenix, Chicago, Boston, Cleveland, Houston and other cities. He has also worked extensively with other non-profit community service agencies, such as YMCAs and day care centers, to reduce their energy costs. For the past twenty-seven years, Rudin has been the project coordinator for the Interfaith Coalition on Energy (ICE) in Philadelphia whose mission is to inspire congregations to reduce the costs of operating their facilities. He has presented more than 300 energy management workshops and has written over 140 articles about energy for national periodicals. He has also published one hundred and three newsletters, called Comfort and Light, for the Interfaith Coalition on Energy. This article is a summary of Rudin’s methodology as he and ICE staff conduct energy audits for religious building throughout the U.S. This article will explain how to lower energy costs for your congregation. First, houses of worship are not houses …. Insulation, replacement windows and high efficiency boilers have a better return on investment when applied to the houses we live in because the occupancy is usually constant, 24/7. We live there. 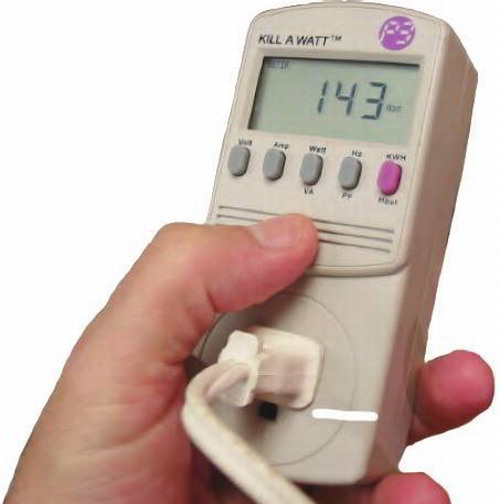 Options to purchase less expensive energy are relatively simple because residences typically have one type of electric, gas and water meter, and comparatively simple utility rates. In contrast, houses of worship are usually not occupied overnight, and for much of most days. Since they are not occupied most of the time, their vacant conditions are much more important than occupied conditions. Turning cooling, heat, appliances and fixtures off creates savings because systems, appliances and equipment can be off longer hours. 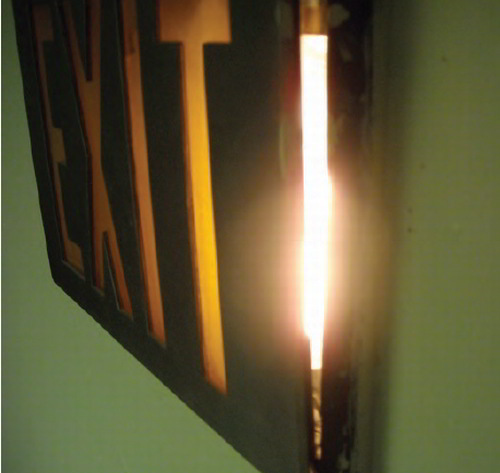 If the building is empty, no spouse or child can object to cooler, darker conditions. Utility options are more complicated than with our homes. Non-residential buildings have many more choices of utility rates. Rates are more complicated by electric demand, off-peak rates, interruptible gas rates, varied water meter sizes, and possible sales tax, to list just a few. Plus the monthly energy costs in houses of worship are typically much higher than those for our homes. There are far fewer houses of worship in the U.S. (about 330,000) than homes (about 129,000,000 or 400 times more than houses of worship). So, homes dominate the market. When we see ads on TV or in print about ways to save energy, they usually apply to our homes, not our houses of worship. Worse, vendors, contractors, utility reps and government officials often misapply residential technology to our houses of worship. My point is, right near sacred spaces are profane spaces. A congregation welcomes participation in the worship space, the social hall, classrooms, rest rooms, hallways, but never to a mechanical equipment room, attic or rooftop. In sacred space, a table or statue does not cost the congregation a penny in operating costs. Yet, we clean them, highlight them, describe and care for them. In profane spaces, a boiler or air conditioning system may cost the congregation tens of thousands of dollars. And yet, we ignore them, until they cause an emergency. “What! No heat! It’s Christmas!” That is when they draw our attention. Otherwise, they don’t exist in our every day consideration. My profession is to help congregations care for profane spaces with methods that are appropriate for our types of buildings. A great beginning for most congregations, for example, is to have bright lighting in our boiler rooms, with well-labeled pipes, ducts and circuit breakers. A great, but rare, occurrence. Third, older buildings may have lower energy cost than new ones. The following table shows data for 435 houses of worship in New York, New Jersey and Pennsylvania. 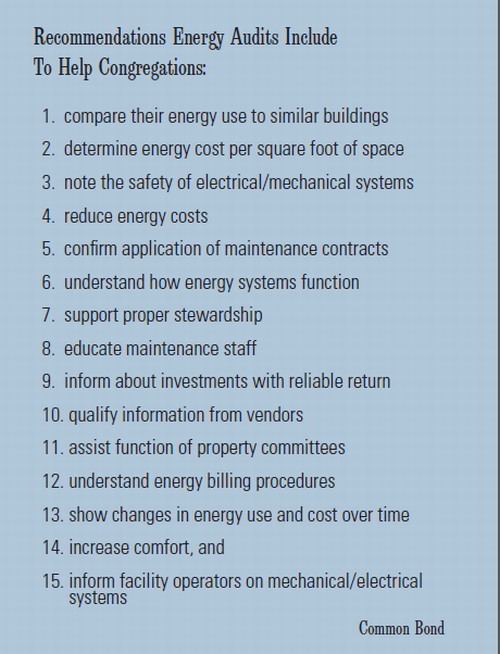 Note that the energy cost per square foot is highest in newer buildings. In my consulting practice, specializing in energy conservation for religious buildings, congregations consult me for help with their energy costs every few days. If the caller wanted advice about weight loss, I would ask for a photo. But, unlike excessive food intake, you can’t see excessive electric and fuel use in buildings. So, I go online and get aerial photos of their building and visit the congregation website, often for more photos. I ask the congregation to fax to me a recent invoice for each electric, gas and water utility that serves their building. Some invoices have information about the annual consumption on that account. Some utilities, like ConEd, provide two years of their data on monthly consumption and cost (only for ConEd, not the deregulated suppliers). I ask how they heat and cool their buildings, and what problems they are experiencing. Do they have blueprints, particularly heating and cooling prints? With that information, I can usually create and send to them a proposal. Your report will be packaged in a three-ring binder. There are six dividers in the report. We intend to make the report easy to understand. Before you receive it, one other person will examine it to make sure it is meaningful for you. This section describes your facility and how it is used. The information comes primarily from the information submitted to me, plus further details I learn on-site. We measure your building from the outside and round off the floor area to the nearest 100 square feet, including heated basements. 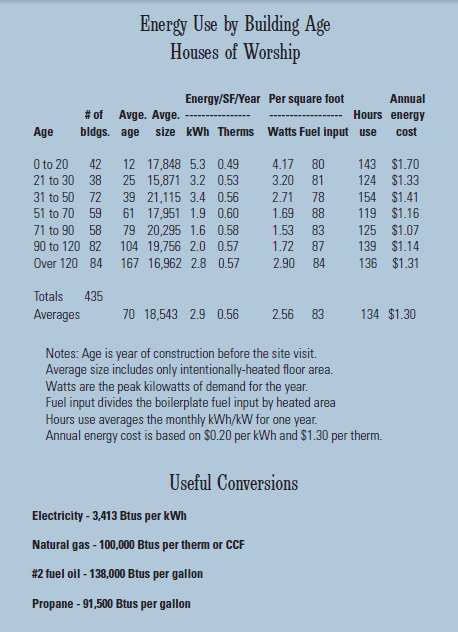 This section compares the energy your facility uses annually per square foot of floor area. I compare this rating with similar ratings for hundreds of buildings just like yours in this climate. This comparison is fundamental to my approach. I do not estimate savings in energy use or cost that are not reasonable, given the relative amounts of electricity and fuel you use per square foot. If I record temperatures at your facility during the “heating” season (December through mid March), this section will contain the temperature graphs and my analysis. The summary is a list of my recommendations, their estimated first cost, and the estimated annual savings. The recommendations are ordered by simple payback, with the actions giving the greatest benefit at the lowest cost listed first. Simple payback is the crudest way to evaluate my recommendations because the environmental cost of using energy, such as contamination of our air and water, is not included in the calculations. For each recommendation, I provide you a description of what should be done to reduce energy use, and the approximate cost to implement the recommendation. In this section, I provide you with the basic energy data I gathered from your utilities and fuel suppliers. For each recommendation, I may include instructions for installation, actual proposals from qualified contractors, price lists from qualified vendors, and other information to help you implement the recommendations. If I take photographs, copies of some of them may be included in this section. Who is going to pay, and how much? Shortly after the Interfaith Coalition on Energy, or ICE, started in 1982, the organization went through a long-range planning process in Philadelphia. Unlike government and utility energy programs, we learned early on that the full cost of our work had to be born by either congregations or denominations. And we needed to be able to recommend specific products, contractors and vendors, which utility and government programs prohibit for political reasons. In 2009, for example, the least we charged was about $1,500 in Philadelphia, and the maximum was close to $5,000. Often, we file away the information and wait for any sticker shock to subside. After all, our fees might be just one January’s electric and fuel bill. The order of activities is to first discuss the buildings – how they are used, when they were built and renovated, and so on. Then I install small electric meters on as many 110-volt appliances as we can—refrigerators, freezers, ice machines, vending machines, dehumidifiers, etc. Often, congregations forget about the small refrigerators here and there, perhaps in child care rooms. I look at all the blueprints you have, which takes typically a half hour. You don’t have to sort through them, but a large table would be helpful to spread them out. Some congregations have floor maps that show people how to get out of the building in an emergency. If you have a set of these, can you make two copies of each page for me? 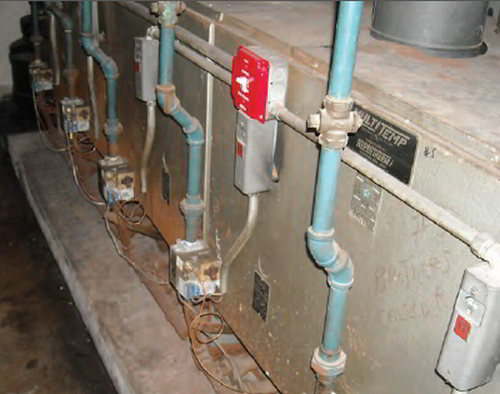 When we start looking at your buildings, I like to look at the boiler rooms first. 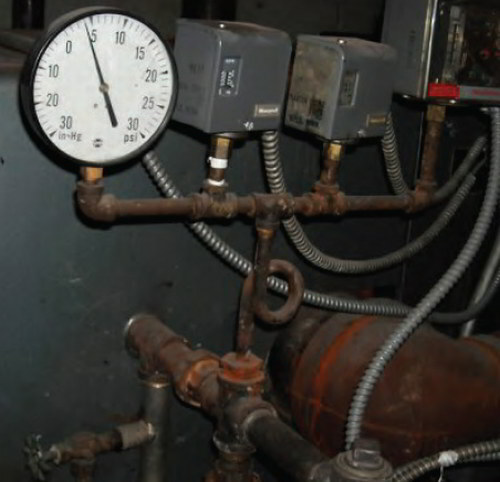 Each boiler room can take a half hour or longer. If possible, I like to get into the attics, inside enclosures for ground-mounted air conditioning equipment, and on any flat roofs. If this is too difficult, we can skip that. I would like to look inside all your rooms, even storage closets. Other helpful items include, a schedule of normal activities by heating zone, a list of heating and cooling equipment, any heating and cooling maintenance contracts you have, and any previous surveys you have had of lighting, HVAC equipment, energy audit reports, etc. I would also like to look at one recent water bill for each water meter you have. I will place temperature recorders around your facility. One goes outside on the north side of the building where the sun can’t warm it. Others go in major heating zones, such as the sanctuary, parish hall, education wing, office section and so on. How many inside recorders should I bring? They will stay in place for just over one week, at which time I hope you can collect and return them. I will bring a postage paid return envelope. My site visit usually takes 2½ to 5 hours. What changes can readily lower electricity and fuel use? Turn things off, because nothing is more effective than turning something off. It doesn’t matter how small or efficient a lamp, appliance, boiler, air conditioner or motor is—the greatest savings comes from turning it off and keeping it off. The more inefficient an appliance is, the greater the savings from keeping it off. 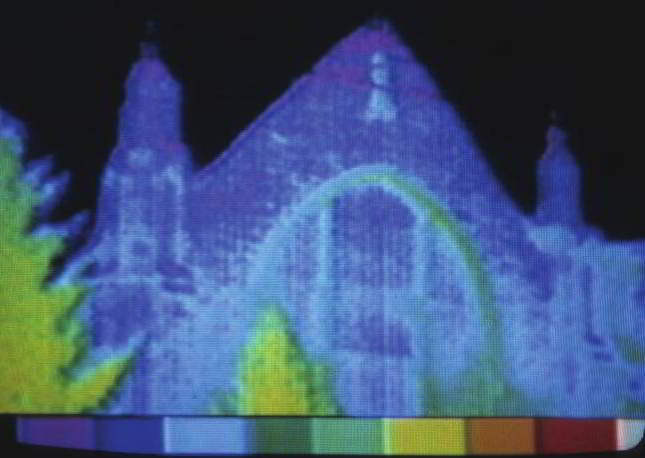 Since religious buildings are used intermittently, there is less need to keep thing on. Keeping things off matters even more in houses of worship than in more heavily used buildings. There are many forms of energy—green electricity (renewable sourced electricity like hydrogen), brown electricity (energy from burning coal or other fossil fuels), natural gas, propane, fuel oil, gasoline, and so on. Once a congregation has chosen the type of energy they want, they should continually seek to purchase the least expensive energy. Factors continually change. Electric suppliers change their terms in a deregulated market. Each utility offers different types of rates; for example, congregations generally save money with time-of-use electric rates. Congregations can purchase contracts or fixed-price fuel oil. They can purchase transportation gas through marketers. Other factors are how energy costs are included in leasing space, whether or not a congregation needs to pay state sales tax or federal excise tax. Whatever choice they make in the type of energy purchased, they need to continually shop for better deals. Building operators should continually adjust water temperatures, air temperatures, dampers, the height of pilot light flames, and so on. Hire a qualified heating contractor to tune oil and gas burners. 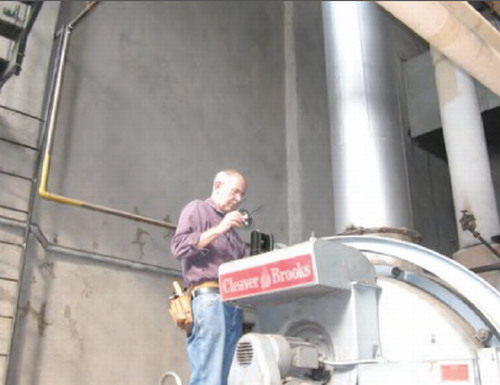 Use natural ventilation instead of compressor air conditioning on appropriate days. Everything is crumbling into dust. Congregations will eventually replace motors, air conditioners, heating systems, lamps, ballasts, and so on. The premium cost of more efficient equipment is usually justified when purchasing replacement equipment. Be very wary of cutting-edge technology without a track record of measured performance. 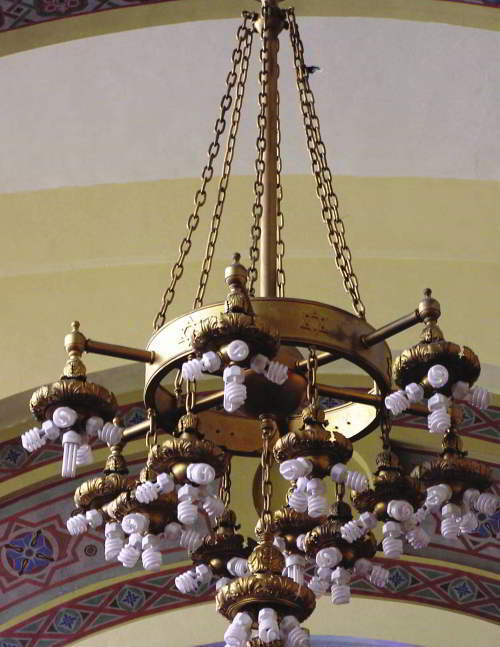 In the northeast, at least three quarters of congregations’ electric use is for lighting. So, replacing inefficient lights and ballasts with more efficient ones makes sense. Energy management is not something that we do once and for all. Instead, these activities are a series of repeated rituals. But how do you keep members of property committees and the congregation interested in energy? You can’t play any game without keeping score comparing energy use day to day, month to month or year to year. 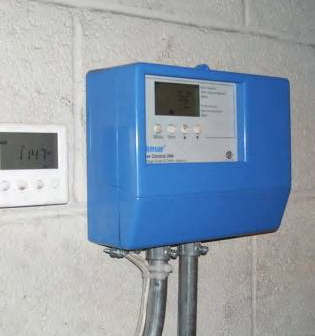 By reading your electric, gas and water meters first thing in the morning and last thing in the evening, you can determine how much electricity, water and fuel is used overnight. High water use may be due to leaks. High electric use may be due to outside lighting, refrigeration, lights in vending machines and other controllable loads. High gas use may be due to warmer than necessary interior temperatures. Your clock thermostat may not be saving you as much money as it could. iButtons from Dallas Semiconductor can record temperatures for up to a year inside your building. Hobos from Onset Computers not only record temperatures, but light, relative humidity and amperage. Data from these loggers can show you if you are using energy when the buildings are actually occupied. Early morning visits, when no one is supposed to be in your building, can reveal many interesting ways to reduce energy use. Space temperatures may be unnecessarily warm, or lights may have been left on by mistake. Sounds and sights can tell you how to reduce overnight energy use. Sometimes, members of the congregation think that worship and education spaces use about the same amount of electricity, fuel and water as their homes. If you post your utility bills each month on a public bulletin board, you can stimulate interest in reducing costs. If you know that a similar building uses less fuel and electricity than yours does, you can learn a lot by visiting with the people who operate it. Such visits without utility data in hand, however, are not valuable. Corporations, government agencies, utilities, environmental groups and many other places have free or low-cost literature that can perk up interest in energy. In the New York City area, there are yearly expos and conferences specializing in commercial lighting, building maintenance and electric use. There are home shows, too. And occasionally, a national professional association holds their convention at a nearby convention center, often with free admission. Hiring an energy consultant to conduct an energy audit is a great first step. A good consultant will inspire the congregation to implement the audit. 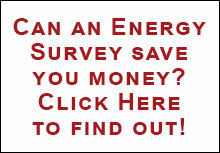 Contact the Interfaith Coalition on Energy (ICE) for an Energy Survey Today.